Restoring cream for daily use on mature skin. The golden radiance of evening primrose oil poured into your skin, with deeply revitalising essences perfectly matched to your maturity. In the soft hour at the end of the day, the secretive evening primrose unfurls golden blooms into the falling dusk. Because it flourishes late, Weleda matches the richness of its seed oil with mature skin’s natural metabolism, for the perfect balance between nature and you. 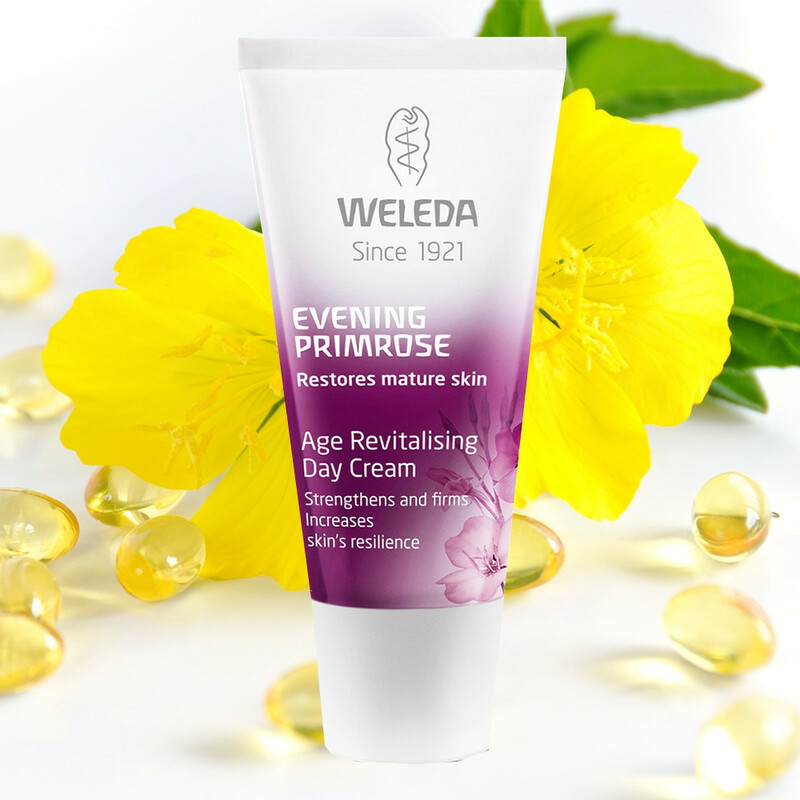 The cream with organic evening primrose oil strengthens and firms, evens complexion, and gives intensive moisture to mature skin. Weleda has added a precious, floral fragrance inspired by the evening garden – complex, and mysterious, like you. Usage: After cleansing apply sparingly and evenly over the face and neck, gently massaging in. Apply only as much as the skin can readily absorb. Ingredients: Water (Aqua), Sesamum Indicum (Sesame) Seed Oil, Alcohol, Macadamia Ternifolia Seed Oil, Isoamyl Laurate, Glycerin, Cetearyl Alcohol, Glyceryl Stearate Citrate, Olea Europaea (Olive) Oil Unsaponifiables, Theobroma Cacao (Cocoa) Seed Butter, Plukenetia Volubilis Seed Oil, Hamamelis Virginiana (Witch Hazel) Distillate, Oenothera Biennis (Evening Primrose) Oil, Centella Asiatica flower/Leaf/Stem Extract, Althaea Officinalis Root Extract, Acacia Senegal Gum, Chondrus Crispus (Carrageenan) Extract, Xanthan Gum, Glyceryl Caprylate, Arginine, Fragrance (Parfum)*, Limonene*, Linalool*, Benzyl Benzoate*, Benzyl Salicylate*, Geraniol*, Citral*, Farnesol*. *from natural essential oils.